For reliable and thorough Cadillac service in San Diego, John’s Automotive Care is your best bet. Our ASE-Certified auto mechanics are highly-educated and experienced in repairing Cadillacs, and we are honored to have earned the reputation as the “go-to” auto repair shop in San Diego and its surrounding communities. The owner of John’s Automotive Care, John Eppstein, has been repairing automobiles all his life and has brought on a team of technicians who share his passion for auto repair. We encourage you to visit us today and see why new customers choose to stay with us for the long run. 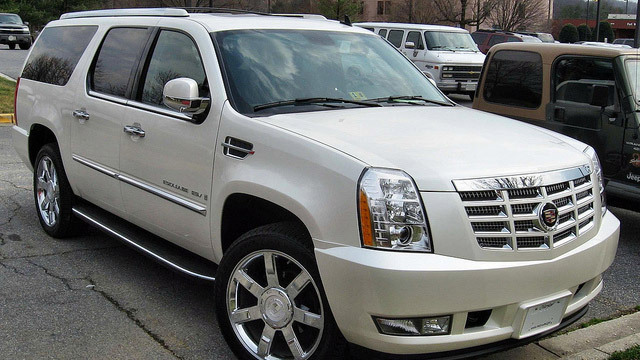 Cadillac owners, like you, know they can rely on stellar auto repair and customer service at John’s Automotive Care. Our highly-qualified and trained auto mechanics are leaders in the automotive industry. Our team consistently earns fantastic reviews and testimonials from satisfied clients and takes great pride that clients choose us as their leading auto repair service center. We hope that you choose us as your premier car repair service center, too. To schedule an appointment for your Cadillac service, call us at (619) 304-0815. Visit John’s Automotive Care at 6267 Riverdale Street, San Diego, CA 92120.